Previously in this blog I had written about how to play Angry Birds on Windows PC but today I am going to differ on that method a little. You can even use the method I am about to show you to play any Android games on your PC. Angry birds for Space is one of the popular games today and almost everyone is playing it, I myself have played it so much it doesn’t seem difficult any more till I met another version of Angry birds called ‘Angry Birds Star Wars’, anyone who has ever played Angry birds star wars will tell you it is more advanced and difficult than Angry birds for Space. iOS, Android and Windows phone users have been enjoying this game and I figured I could play this game on a PC and even enjoy it more. So I have decided to share with you today how you can play Angry Birds Star Wars or any other Android games on your PC. So if you are one of this who will like to play Angry Birds Star Wars on a bigger PC screen then this post is mainly for you. The first challenge is figuring out how you can play an Android game on a PC, there are quite a lot of Android emulators out there but my favorite remains ‘BlueStacks’. I have written about Bluestacks on this blog on a post titled ‘How to use Whatsapp on your computer’. Android emulator – Bluestacks is a great tool to simulate Android apps on a PC, and with this application we can do virtually anything we can do on our Android phones on PC. So let’s start by downloading Bluestacks and installing it on our PC. 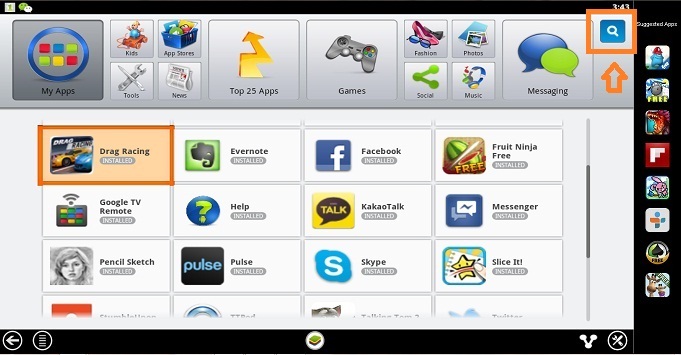 Click here to download Bluestacks, on completion of download run the installer. Then launch the just installed Bluestacks application on your PC, and click on the search box as indicated on the image below. 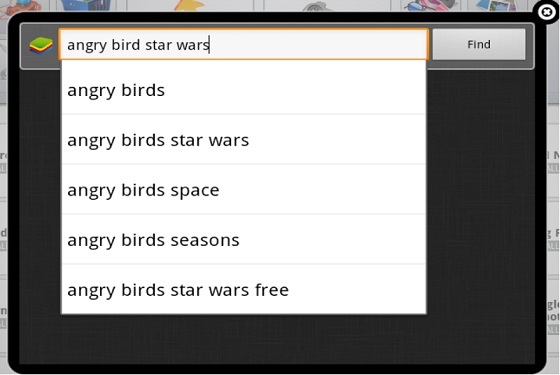 Search for Angry Birds Star Wars or any other Android game you may like to play on PC, and then select the version you want to install from the search results. Then the app will begin to download and install on your PC as indicated on the image below. 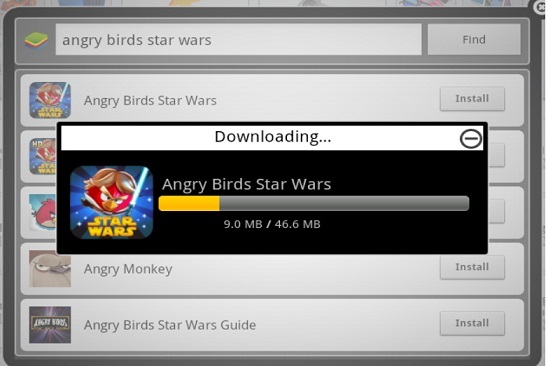 On completion of download, you can launch the game and start playing your Angry Birds Star Wars on your PC full screen. Of course you will agree with me that Angry birds star wars is more interesting than Angry Birds for space. Now i hope you can enjoy playing Angry Birds Star Wars on your PC as much as you will enjoy playing any other Android games on your PC with Bluestacks. I want to hear what you think of Angry Birds Star Wars, use the comment form below to share your experience with the game. Remember to subscribe to my RSS feeds using the subscription box below. Share this post with your friends so they too can enjoy Angry Birds Star Wars on PC like you. Angry birds star wars is indeed a more advanced Angry bird game and thanks for sharing. 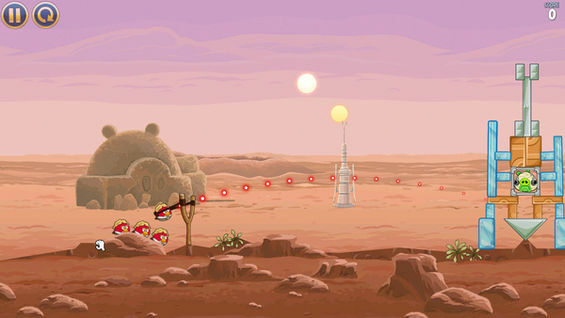 As interesting as Angry Birds for Space was, Angry Birds Star Wars is actually my preferred version for now. Something must have been wrong, i recommend you uninstall and try again.